No doubt the coolest board on the block. Super light and tight; the Dinghy is agile under your feet and fits just about anywhere. Practical, attractive and fun…what more could you want? Light as a feather and strong as an ox. 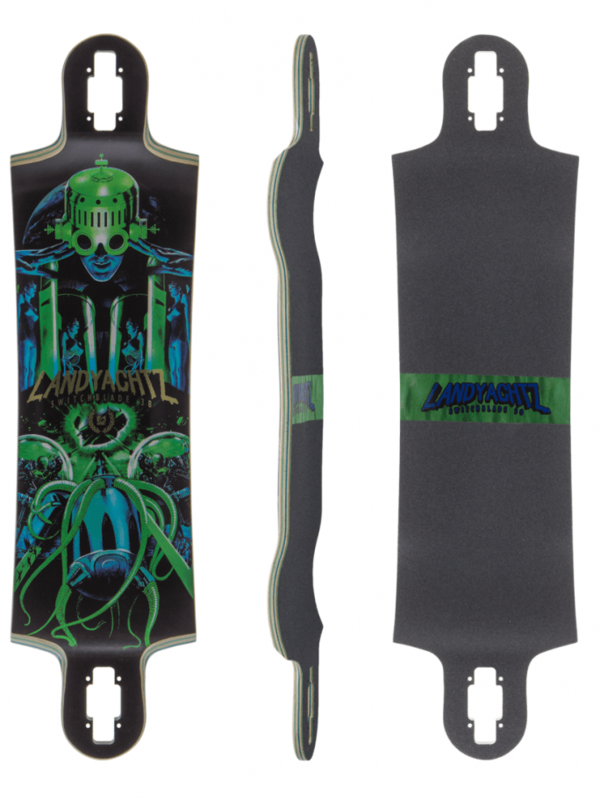 The Landyachtz Dinghy is a small maple commuting board ideal for getting from A to B. The maple construction makes for strong, light board and thus easy to handle with smooth ride. It’s the ideal size for stuffing in a locker, coat check at the bar, under your arm in the grocery store or carrying on to a plane. The board comes with a slight kicktail, just enough tail to Ollie a curb and its extremely short wheel base allow you to make the tightest possible turns and gives you heaps of traction. Riding this board everyday will make you a better rider. Certain models also come equipped with a thin layer of foam sandwiched between the board and the griptape, making for an ultra-comfortable ride.